My dear, sweet, sentimental husband bought us hats for Christmas…not just any ordinary cold weather hat, mind you. These were fancy Skida hats, handmade in Vermont, in these trendy floral and polka-a-dot patterns that were velvety soft on the inside. They are supposed to keep you super warm on extremely cold days. In fact, commercial fishermen in Alaska and cross- country skiers wear these Skidas! Well, I’m embarrassed to say that out of the three of us, only my youngest was excited about the present. My oldest does not like hats. I like them, but hats have never looked good on me because I have a rather large circumference crown! 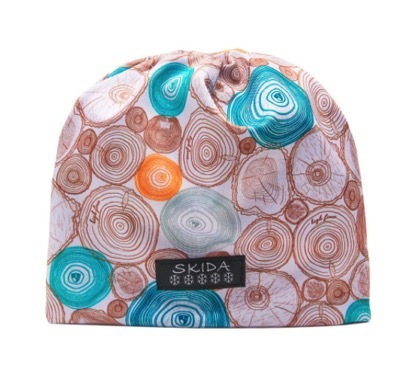 So I’m usually skeptical about wearing hats and said, “Could I exchange it for a Skida scarf?” The response was less than welcoming…“Honey, the cost of shipping isn’t worth the trouble.” Sooooo…I reluctantly agreed to keep the hat because I love my husband and I want to make him happy. One night we were going out to Santana Row over the Christmas holidays for some dessert. It was a bitter, cold night so I thought, “Oh, I’ll wear the hat and make him happy.” Needless to say, as the night wore on, the hat started slipping up and then there was this weird cone shape action happening on the top of my head. I had to keep pulling down the hat…but he was so happy! As I chuckled over that memory, I can’t help but to reflect on the many other hats I wear in my life, given to me graciously and lovingly by my Heavenly Father. Let’s visit each one. My WIFE hat – I am the keeper of the “schedule”…the proofreader of all articles and newsletters….the chef…the housecleaner…the grocer….the “finder” of all things lost….the carrier of all things important in my bottomless purse. I am the encourager and supporter…the one who says “You can do it, Honey!” I am the dinner companion and coffee partner. I choose to be the prayer partner and ministry co-worker. We work so well together, complementing each other’s strengths and deficiencies. My lack of creativity is filled by his out-of-the-box ideas, while I gently remind him of the practicalities of life as he dreams. Sometimes it feels a bit overwhelming and I wonder if I am doing enough or doing the best job I can. My MOTHER hat – ”Mom,” “Mommy,” “Mumster,” “Dude,” I answer to any and all of those names. As the girls are growing older, I find my role to be evolving. They no longer need a story reader or a tea party attendee. Band aides can be placed on by themselves and even meals are cooked by both. I relish my newfound freedom but I also question daily whether I am doing an adequate job in my new role. Am I answering these life questions with wisdom? Do I pray enough for them? Have I done enough to inquire about their friends and do I really know what is in their hearts? Have I gone on enough Target and pearl tea trips with them, for them to know that I love them and want to spend time with them? With each strand of hair that I curl for every music performance, do they know their mom is their loudest cheerleader? My DAUGHTER hat – This is a tough one. It has been a little bit over 2 years since my Dad passed away. Each day, I guilt over whether I have cared enough for my Mom. On multiple days, I try to conjure up reasons to call her and check up on her, without her thinking that I’m checking up on her. Haha…she’s probably figured it out. Does she know that I’m grateful that she’s always cared for me and provided for me? Does she know that I worry about whether she is lonely or not? What is she thinking? Feeling? Experiencing? Does she feel that her only daughter is walking alongside of her and only desires the very best for her? My TEACHER hat – As the definition of a family unit has changed in our society over the last few decades, I struggle to find my role as an educator. In my naivety as a young teacher, I’d always thought my job was simply to teach the academics. In reality, as each new school year begins, I find that my motivation and perspective on teaching has dramatically changed. I find that the role that is dearest to my heart is motivator. I desire to motivate my students to love deeply and to live graciously. I desire for them to reach their highest potential, regardless of where each one begins. I desire for them to feel that they are “seen” and “heard.” I desire independence and resilience for them. Academics is just a side benefit, I guess. My FRIEND hat – I love this hat. This is such a fun hat to wear. I love sharing coffee, a chocolate dessert, a Korean meal, a pastry…oh wait…these are all food items! Ok…I love to hang out with my friends and relish opportunities to lavish love and encouragement upon them. My girlfriends fill my cup in a way that no one else can. My dilemma? My lack of time. I worry that I don’t call/text them enough or that I can’t celebrate every birthday or milestone. I want to lovingly remember to check in on awaiting doctor’s results or a stressful presentation. If I don’t, Will they think I’m an unfaithful or flaky friend? Will they think that I’ve forgotten about them or that I don’t value them?